Once again Wai Taiko have undertaken a huge project: With the help of the Hamilton Garden Summer Festival we've been successful in securing some hot professionals to travel from Japan to show us how it's done. 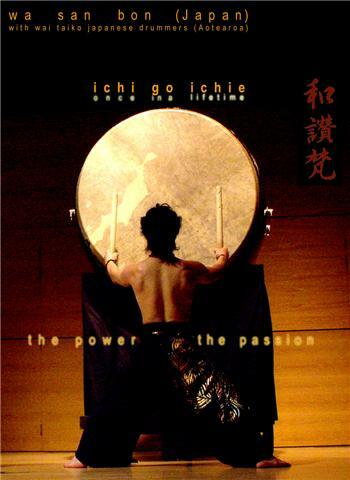 Kenji Furutate and Hidenori Yura will perform with Wai Taiko in a huge concert called Ichi Go Ichie: Once In A Lifetime at the Hamilton Gardens Summer Festival on Saturday, 21st February at 7.30pm. This show will be a not-to-be-missed extravaganza of thunderous drum pieces, delicate instrumentals on koto (Japanese harp) and fue (flute) and traditional dances all in colourful costumes. See Kenji and Hide display their skills in duo and solo pieces - their presence more than fills the stage and you won't be able to keep your eyes off them. Wai Taiko will demonstrate our kumidaiko (group drumming) style with tons of variety, extra instruments, vocals and dances. It'll be non-stop action, a vibrant and magical performance like nothing you've ever seen and there's even some surprises planned! 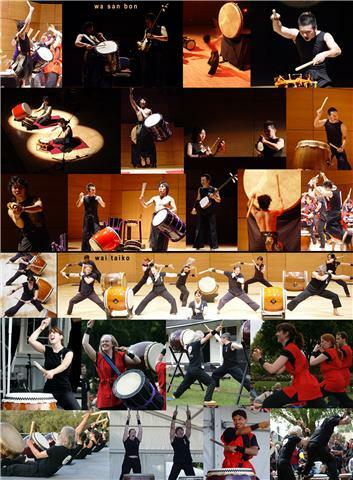 If you missed the Taiko Festival don't miss this chance to see professionals from Japan in action. You'll fall in love with their charisma and masterful performance. The show will be followed by a movie called Twilight Samurai. Information about the Hamilton Garden's Summer Festival can be found here. If you want further information on the Professionals, School Tours and their Rotorua show then please go here. Click here for a list of all our performances.